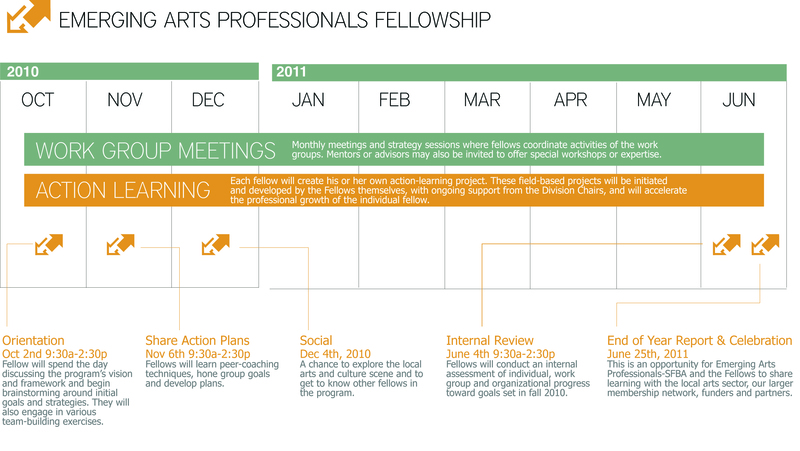 Principles of networked learning inform the design of the EAP/SFBA Fellowship program. This model is intended to promote inquiry-based learning that is both empowering and flexible, as it adjusts and aligns to address each Fellow’s specific aims. Fellows should be self-starters, interested in building cross-sector relationships and willing to take an active role in the learning process. From the start, Fellows will work with the EAP/SFBA Leadership Group to identify specific learning goals and methods for achieving those goals. Milestones, collective expectations and personal benchmarks will then be developed collaboratively. Leadership Group Chairs will support Fellows by connecting them to ideas, materials, expertise and human resources (e.g., speakers, mentors and/or consultants). Chairs will also coordinate individual goal setting and project timelines, moderate discussions, facilitate problem-solving sessions and supply overall guidance throughout the program. 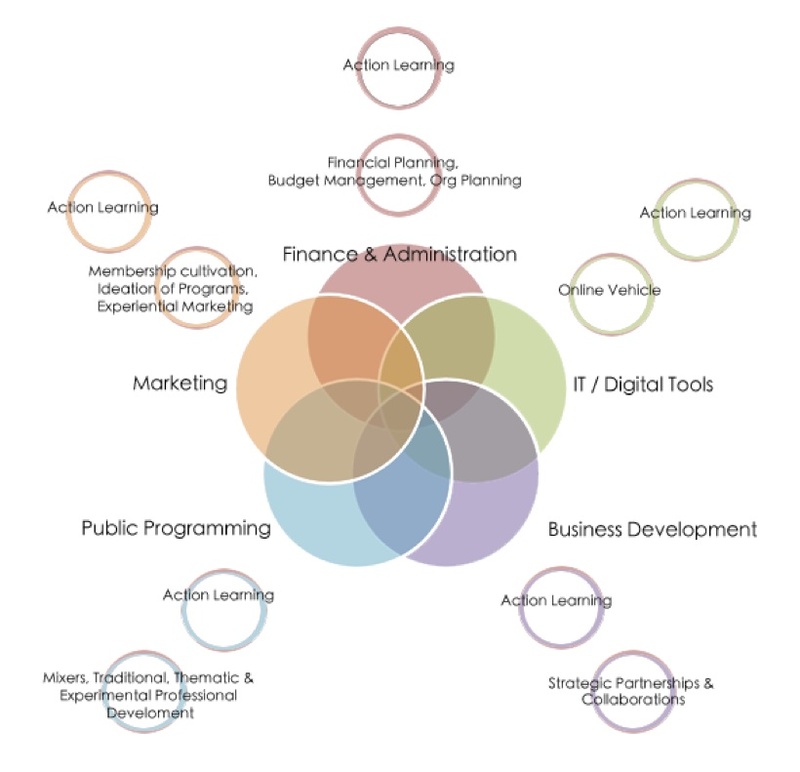 The EAP/SFBA Fellowship consists of five divisions, including: Business Development, Finance & Administration, IT & Digital Tools, Marketing and Public Programming. A member of the EAP/SFBA Leadership Group oversees activities within each division. Fellows will work primarily with colleagues from their own division; however, there will be ample opportunity for inter-departmental collaboration. Fellows will participate in a range of activities that support EAP/SFBA’s internal functions and external programs. For example, a Fellow within the IT / Digital Tools Division will play a central role in helping to develop our online vehicle (internal action). In addition he or she will create his or her own action-learning project. These field-based projects, selected and directed by the Fellows themselves, with support from the Division Chairs will accelerate the professional growth of the individual fellow. Applicants to the Fellowship program should demonstrate the following criteria.